Experience Big Bang right before Christmas! Korean group Big Bang will be having another release in Japan this coming Winter. This time a video clip collection. The DVD, Big Bang The Clips vol.1, will be released on 12/23 just in time for Christmas. 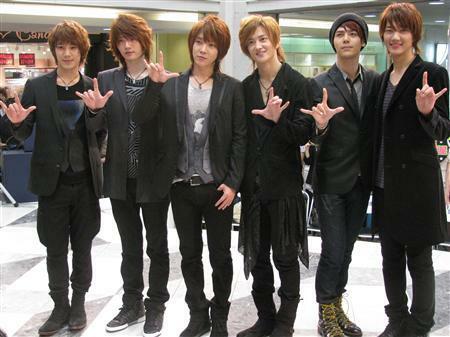 The DVD is a collection of all their music videos including both Japanese and Korean music videos. I thought that would get your attention though. 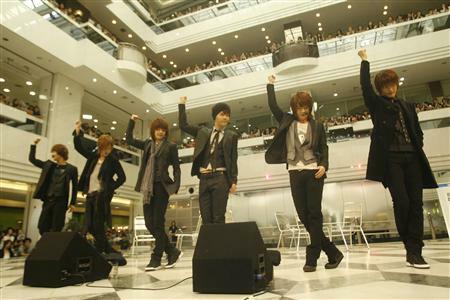 In Japan, a 6 member group from South Korea called Choshinsei (aka Cho Shin Sung), performed 3 songs including their Japanese debut song, “Kimi dake wo zutto”, at the Higashiikebukuro Sunshine Plaza. I don’t know, they just seem like they were put together by MNet and knew figured that they wouldn’t make it in Korea so they shipped them off to Japan because they know that fangirls would eat them (not literally, although they’d probably let some of them do it). I still don’t see how they are ikemen (pretty boys), they’re not. It’s like they should have just joined Johnny’s Entertainment, because they seem more suited for that. Especially with that debut song. Someone better do something about their stylist, because I’m starting to lose faith in Japanese stylists now after seeing the train wreck of Big Bang, DBSK, w-inds., and now this group.